What do you use to add special details to your projects? If you’re anything like me, there’s always some a clever twist to a product, you just have to find it! 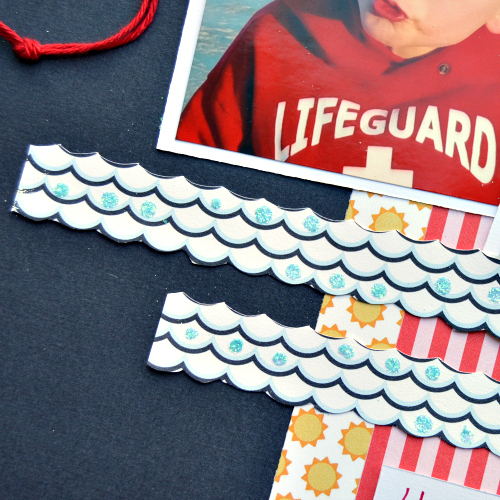 Christine joining you today to show how I used my Scrapbook Adhesives by 3L to add some clever twists and details to my scrapbook layout! 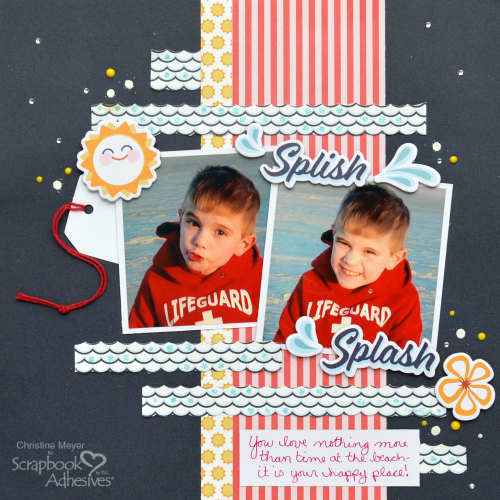 Let’s dive in and look at you can use Adhesive Details to make your layout shine. On it’s own this layout has quite a few details – from patterned papers, to fussy cutting, to dots and splatters. BUT as you will see in my video the one of a kind details were added to enhance my water features. First up I took my Dual Tip Glue Pen and used it to create small dots on the “waves” I had cut out. I did this pretty randomly but tried to do 2-3 in a row and I didn’t worry about them being perfectly uniform in size but instead went for variety. Next, I added glitter to each one in a coordinating aqua blue. Although I wouldn’t typically think of glitter for a boy layout BUT it’s supposed to represent the ocean and the ocean sparkles! The second detail I added involved the versatile Adhesive Dots! I don’t know about you, but I do not have an endless supply of Enamel Dots. I sure do like to use them though! 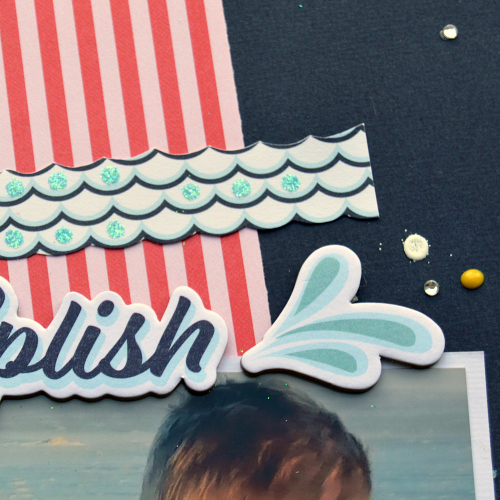 I’ve recently taken to creating a similar look with Adhesive Dots and Embossing Powder. While it doesn’t have quite the same dimension….it does bring in a different texture and look. In this case, I didn’t stress about where the embossing powder landed either. As you can see in the picture there are a few little extra little dots. Just looks like splatters for water, don’t you think? Thanks for joining me today and keep on adding those fun details to your projects! This entry was posted in Adhesive Dots & Lines, Adhesives, Crafts & Tutorials, E-Z Runner® Grand, HomeHobby by 3L, Intermediate, Other Adhesives, Permanent Adhesive, Scrapbook Page, Scrapbooking, Seasonal Craft Ideas, Skill Level, Summer, Wear your Adhesive on the Outside and tagged Adhesive Dots Medium, Christine Meyer, Dual Tip Glue Pen, E-Z Runner Grand Dispenser, E-Z Runner Grand Permanent Strips Refill, Embossing Powder, HomeHobby by 3L, Masculine, Process Video, Scrapbook Page, Scrapbooking, Tutorial, Video, Wear Your Adhesive on the Outside. Bookmark the permalink.